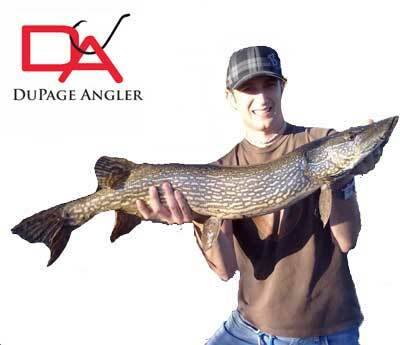 The northern pike and musky populations are doing well in DuPage County. 35 years ago the founders of D.A. would fish for bullheads in "flammable" waters in the far western suburbs of Chicago. Who would have thought at that time that there would be pike and musky to be caught in DuPage County. Boy how times have changed. The monster pike to the left was caught and released by DuPage Angler Splotch at Mallard Lake in DuPage County.